Cow Facts Trilogy – Part Seven (7): A Cow By Any Other Name (cont’d) Or What’s So Good About Smelling Like A Cow (cont’d from Part Five (5))? Click here to catch up on everything and have some idea what the heck is going on… and start at the bottom of the page with Part 1 (one). Yes, it is, in fact, a fact that chickens smell multitudes worse than cows. Multitudes squared, actually. While cows can smell items up to six miles away, you, as a human being, can smell a chicken ranch at nearly twice that distance, given favorable (or unfavorable, depending on how you smell it) wind direction. In that regard, cows can be labeled “fortunate”. I say “fortunate” because nobody wants to be the stinkiest object in the room. Not even a cow. And with chickens providing such negatively aromatic competition, the typical cow can point an accusatory hoof at the nearest barnyard provider of delicious eggs and deflect most, if not all, thoughts of disgust otherwise aimed toward her. But lets face it, even though a cow is not a chicken, she still emits a pretty “fowl” odor. But lets further face it, if there are chickens around, a cow doesn’t smell nearly so bad. This is especially true if you live in rural areas of the planet. But lets further face it further. If you are a city dweller, you, most likely, don’t live in very close proximity of a true, bonafide chicken raising, egg producing, heavily populated chicken ranch. And you probably don’t have the foggiest idea just how much the chickens on that ranch poop. And you don’t have ANY idea what that sh – stuff smells like in large quantities. Well let me tell you, city slicker, I DO! And it ain’t ANYTHING like your brand newly planted front lawn. I am pleased that you have brought that up. To answer that question, I have assembled a short list of “how bads” for your consideration. The odor emanating from a small to medium sized chicken ranch is so bad that you can hear it. A chicken ranch can smell so bad that, over a long period of exposure, roosters have been known to lay eggs. I’ve seen uninitiated folks have their socks curl up, disintegrate and fall out of their shoes at the first whiff of a working chicken ranch. And, finally, a chicken ranch ALWAYS smells so bad that it makes a cow smell like Nirvana Rose perfume. That’s how bad it is. It’s awful. Really awful. And that, my friend, is what makes a cow smell so good. Cow Facts Trilogy – Part Five (5): A Cow By Any Other Name (cont’d) Or What’s So Good About Smelling Like A Cow? It’s been a couple of years (0ne year and 364 days, to be exact – but who’s counting?) since I left you all hanging, wondering how I am going to explain the benefits of having cow “scents”. What could possibly smell worse than a cow? Why is it that cows smell the way they do? When did cows begin to smell that way? Where can one go to learn to appreciate the odor of a cow? How is it that cows smell so good? Well, believe it or not, I have been pondering these questions over the past two years, searching for workable answers, and not coming up with even one. She was reading from her notes on Translational Medicine, and I was listening – hanging on every word, in fact. But I am a very talented multi-thinker, and was able to simultaneously pay nearly undivided attention to her while continuing my uninterrupted search for the answer to why cows smell the way they do. And here’s what I came up with… The reason cows smell the way they do is …………………………………………………………………………………………….. Unless you have ever lived within ten miles down wind of a chicken ranch, you have no idea how refreshing it can be to smell a cow. 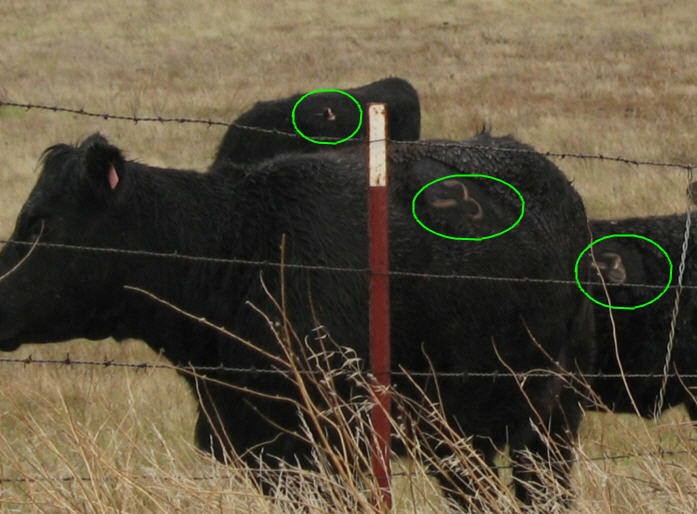 Cow Facts Trilogy – The Part Previously Know As Five (5), But Now Known As Six (6): Time To Test Your Knowledge Of Cows! Yippee-Ki-Yay all you Cow Facts fans out there! Well, partners, I figure it’s time to get an idea on how much you’re really payin’ attention to the valuable information bein’ made available to you in The Cow Facts Trilogy and, like most tests administered today, there are no wrong answers. Yep! You cannot possibly pass or fail this test, but it will give you a sense of accomplishment just to know that you won’t do any worse than anybody else! And, after all, isn’t that what life is all about? Everybody likes cows, or, at least they should. That’s because cows are eminently likable. They are gentle creatures who, if they live in California at least, are happy to make us milk and cheese and cream and other dairy products. Also, properly prepared, they taste good. Cowards – without cows, they would just be “Ards” – and who wants to be one of those? Cowcatcher – Without cows, we couldn’t tell if we were talking about railroads or baseball. Think about that – we would have to endure an endless stream of “Boy” movies and “Boy” songs and “Boy” tales. A cow cannot shoot pool. A cow cannot engage in a round of thumb wrestling. A cow cannot shuffle a deck of cards. A cow cannot, under any circumstances, smell good. Let’s face it – cows stink. Most of you probably thought that we were done with Cow Facts two years ago. Or, at least, you were hoping we were. There is actually a very good reason for that, and I’m going to make it up right here on the spot so that you understand what that reason is. A one (1) part trilogy would not be a “oneilgy” (though you might refer to it as a “monology”, I guess) because it only has one (1) part and needs no further titular explanation. A two (2) part trilogy would be referred to as a “dualogy”. Then, of course, we come to “trilogy”, a three (3) part series. Then we come to where we would be now if I were going to be here – Quadrilogy – a set of four (4) episodes and then on to five (5) or “pentology”..
Six (6) would be a “Sexology”, and I’m just not that kind of writer. Therefor, if I do 137 parts to Cow Facts, it will remain a ‘Trilogy”. News flash!!! I have a new Cow Fact to report! Cows smell bad. Really bad. It has become evident to me, by carefully analyzing the data gathered from the survey in my last post, that most of us have no idea how to rate a cow. As it turns out, there are about three trillion ways to rate the bovine species (approximately one method for each dollar of debt the U.S. is about to incur, if you include interest. But I digress…). For example, One site – concentrates on the “Syneresis Rate of Cow’s, Ewe’s, and Goat’s Curd. Effect of Thermal Treatment and Ultrafiltration”. 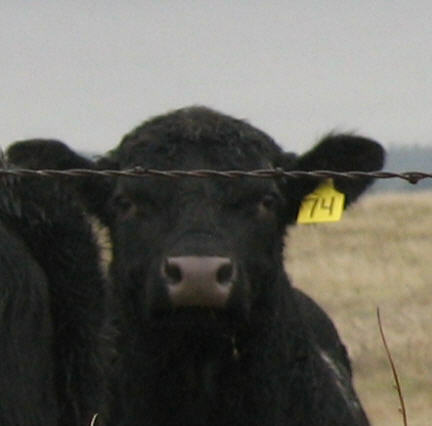 Ratemycow is a dating site for cows and bulls to meet online and rate photographs of themselves. * Something told me not to click on this link, and so I didn’t. Because of the numerous sites and rating criteria available to the cow connoisseur, I have decided to take it upon myself to narrow it down to two possible categories – namely, my two favorite parts of a cow – milk and steak. Will the milk make you fat? How does the milk taste? 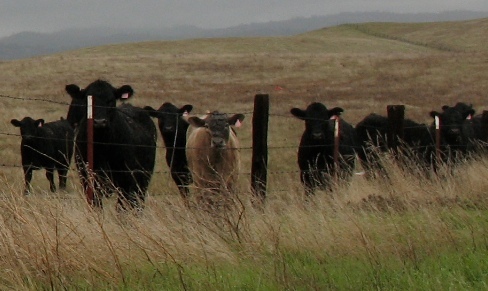 Additionally, while the scale of 1 – 5 is the norm, occasionally a cow may produce milk of such high quality that it will merit a score above 5, though only temporarily. This score will be displayed on the cow in the form of a removable yellow tag, clipped to the ear, with the score written on it. Likewise, a cow may produce milk of such poor quality that it rates a score of less than 1. If the cow is sufficiently bad, the score will be permanently branded upon her torso, in plain sight. So there we have it… The six qualities of milk which, when mixed together and averaged out on a scale of 1 – 5, will give us the rating of the cow in question. I have decided to call this the Professor William H. Kammerer, Jr. Cow Scale, in honor of my dad, William H. Kammerer Sr..
Time to look at a couple of cow examples (as photographed by my lovely wife, Judy, while on her way to work one day) and observe the practical application of the William H. Kammerer, Jr. Cow Scale (Kinda rolls off the tongue, doesn’t it?). This cow has achieved a rating of -3 (Minus 3). It produces Squid milk that tastes like rotting fish. Fattening? : Is the ocean wet? ** As a public service to those of you who have requested clarification on a couple of points made in this post, I am writing this short addendum. Question 1: Why is the “over 5” rating temporary? When this happens, the quality of her work will (if she lives long enough) diminish to the point where it hits a rating of “1”. Any lower than this and she becomes an “eater” and is now worse than useless to the farmer – she is costing him money. This is where steak comes from. Question 2: Why is a rating below “1” permanent? It directly relates to the reasoning above – When a cow hits that lowly level, it’s usually because she is on the way down and nature takes it’s course. From here on out, the creature will only degrade further, so the animal will never again attain the lowest of the “acceptable” ratings, “1”. Because the cow has only one function to the farmer, it really has no opportunity to learn a new trade and improve it’s lot in life by becoming, say, a race horse. It will always be a bad cow, an “eater”. Question 3: Well then, why not give it a lower rating? 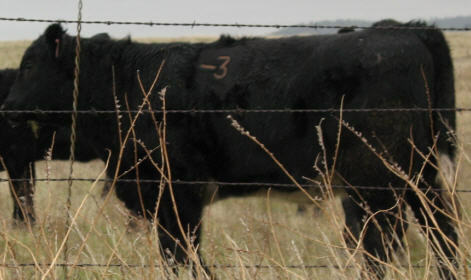 If you lower a cow’s rating to something below “-3” (-3 has been determined to be the breaking point), the cow will feel bad about itself and stop eating. Question 4: So what? Just turn it into steak. I will continue to publish my thoughts on cows, albeit with shorter entries (probably, though not for sure, inserted somewhere within the contents of my eternal Bio. I am even in the process of devising a “contest” of sorts, complete with FREE prizes (of sorts)… But I’ll get to that at a later time, after I have fleshed out all of the details). Once I have determined our level of proficiency regarding the fascinating world of cows, I will better be able to fashion my writings in ways most unimaginable to you, and to the world in general… Armed with the basic information to be gleaned from my survey, I will take the lead as we, as a single cohesive unit – C.O.W.S., march forward into history. …I intend to make this the premier cow information site available in the immediate universe. 45 Year Old Mystery Solved!!! Cow Pie In The Sky? How much do you know about cows? How much do most of us know about cows? Having lived in rural areas for about the past 30 years, you would think I would know more about cows than I really do. But I really don’t. Almost everything I know about cows I learned last week in The Java Mountain News– a local area newsletter with, well, local news… It’s kind of like a newspaper except much smaller, and it has a lot more advertising. A healthy cow can produce about 200,000 glasses of milk in her lifetime. The oldest cow ever recorded was named Big Bertha, and she lived to be forty-eight years old. She also holds the world record for number of calves produced – thirty-nine. A cow has no upper teeth. A cow consumes up to 100 pounds of feed per day. A cow drinks about a bathtub’s worth of water each day. o I have intentionally left out some facts because I will refer to them later on in this discussion. I see cows all the time – you can’t help it when you live where I live. They’re all over the place – you can see them dotting the landscape, usually behind fences, along the roads around here. Sometimes you don’t even need to see them to know they are around. But I have only seen cows up close a few times in my entire life – mostly while running through the bovine exhibit at the (Del Mar) San Diego County Fair, looking for the shortest possible route to the Deep Fried Ice Cream Cone booth. And I have never, as far as I know, touched a fully assembled cow. The closest thing to physical contact with cows that I can claim is with the one(s) I wear on my feet and, for reasons of modesty, around my waist. Of course there is the face-to-face contact with them between the opposing sides of a bun or in a glass. (Milk is my favorite drink – I like it much better than Shrimp Juice (which I hate). o Many of you know of my aversion to fish, brought about by a bad experience I had while in the Navy. As result of this experience, I can’t eat seafood. I mean, I can eat seafood, it just won’t stay eaten for long. Therefore, I take my fish in gel-cap form and hope that I can get the capsule down before the skin wears through. Well, Cows are going to make us – you and me – wealthy. Filthy-ugly-stinking-rich. How are they going to do that? Last Thursday morning, while Judy, Steven, Billy and I were motoring our way to the home of our middle son (Shawn) and his wife (Megan) for Thanksgiving dinner, Judy brought up the topic of “cows”. “Do you know that cows do more to cause holes in the ozone layer than just about anything else?” she asked. “Yes, I believe I do,” was my response. “No, I don’t believe you do,” was her response to my response. If one cow can heat a house for a year, how many cows does it take to run a car for a year? Or, more to the point, how many cow belches would it take? And how can I harvest the required gasses? All I would have to do is find some way to capture the gas as it leaves the cow (from whichever end of the equation), force it directly to the newly designed “cow gas” tank and then to the newly designed “cow gas” engine. This idea seems to be somewhat better if for no other reason than it is a far less intrusive solution, and is likely to be more agreeable to the cow. This could be modified for home heating use in the winter. But there is a downside to this method. If the cow has a mask over it’s face, how will she be able to eat the grass that becomes the gas that runs the car that Bill built? The list of facts in the newsletter correctly stated that it would require 10 cows to heat a home for a year. This breaks down to two and one half cows per season. o It may be difficult to convince a cow that only half of her is needed at a given time. In the case of home heating, where would you install the cows? It would not do to have two and a half cows roaming around the living room, dragging their hoses along with them. The damage would be horrendous. o Damage to the house could be mitigated by slowly repeating the word “c-o-w h-i-d-e” ** over and over when they look like they might be planning some sort of destruction. o ** It is important to note that any reference to the term “Cow Hide”, in the context of this discussion, does not refer to the popular bovine parlor game of concealing one’s self from view by, say, placing one’s self under a lamp shade or behind a flag pole, but, rather, to the stuff your sofa and car seats are made of. In rural areas, I believe this is actually quite easily overcome by devising a way to connect the cow to a modified propane tank located outside the house and utilizing the propane lines already run from the tank to the house. The real challenge is the connection between the cow and a city home or apartment building. Connection to a vehicle might prove to be somewhat less difficult. I envision some sort of trailer equipped with the proper connections to the fuel tank. Another option, here, would be the slight expansion of the size of the trunk or installation of an additional back seat in order to accommodate the cow/fuel supply. Can you imagine the money we can make with this??? The government bail out money alone could be billions!!! Then there’s the Nobel Prize (which I claim for myself because this was my idea). To this end, I have decided to take it upon myself to form an organization dedicated to the promotion, research, development, production and marketing of bovine produced fuels and fuel systems. And, I have decided to let you, my loyal readers, all in on the ground floor if you want! December 6, 2008 at 11:39 am editHi Colleen … don’t encourage him. He hasn’t gone off the deep end yet, but this shows that he’s getting closer. December 6, 2008 at 10:52 pm editJudy, I absolutely love your comment!! !